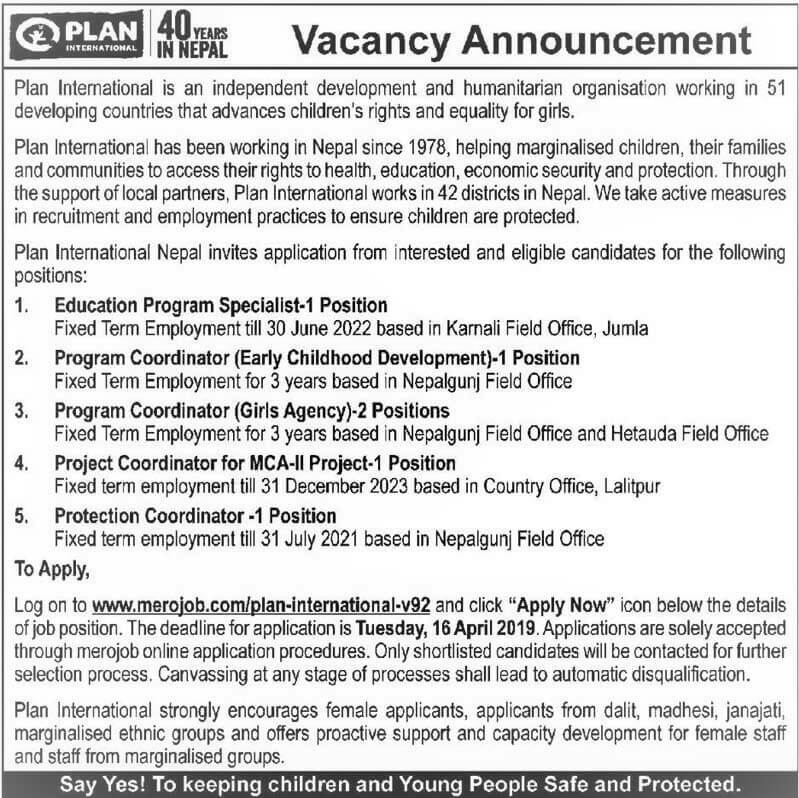 Log on to www.merojob.com/plan-international-v92 and click "Apply Now" icon below the details of a job position. Application deadline: Tuesday, 16 April 2019. For detail, read vacancy notice below.